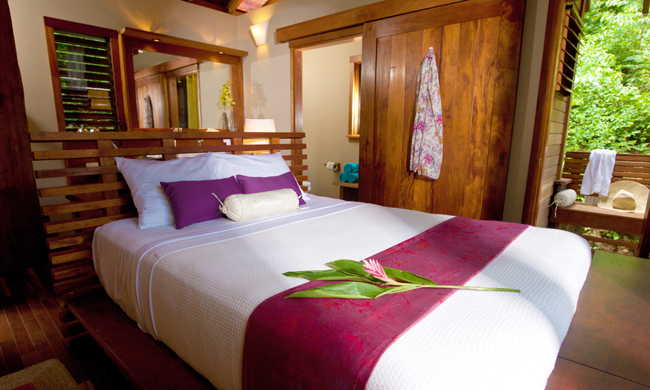 The ultimate Nicaraguan spa and wellness package. 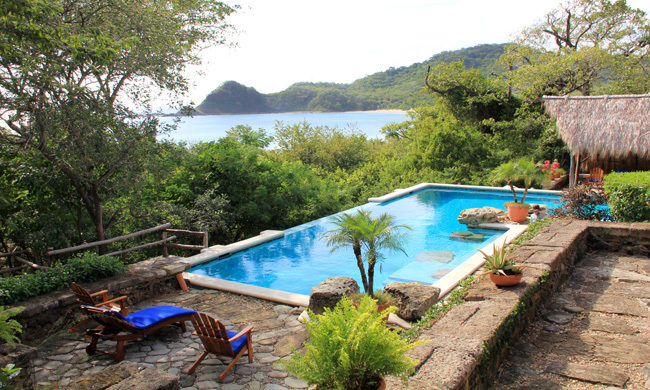 A seven night spa and wellness package at two of Central America’s top retreats. 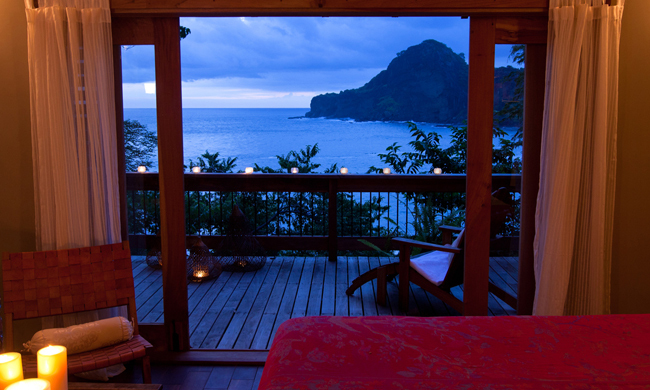 Four nights at Aqua Wellness Resort topped off by three nights at Jicaro Island Eco-Lodge. You’ll fly into Managua and transfer to the Pacific Coast. 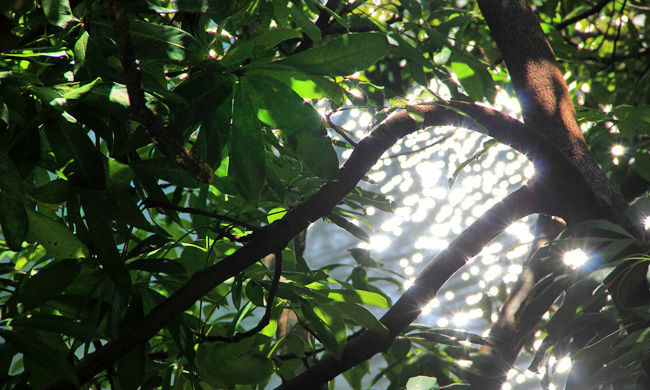 Aqua Wellness Resort is situated in a lush tropical forest overlooking the Pacific Ocean — a secluded and peaceful natural setting ideal for a relaxing beach vacation, yoga, meditation and spa treatments that nourish the soul. 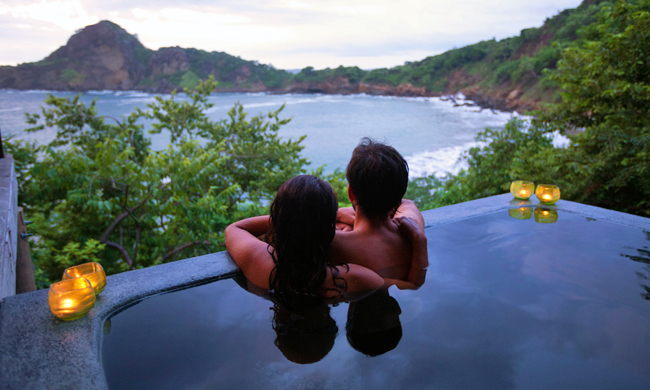 Nestled on a private white sand beach along Nicaragua’s Pacific coast, almost hidden amongst the treetops, the resort is made up of private, secluded villas, constructed of sustainable hardwoods, and furnished by local artisans. 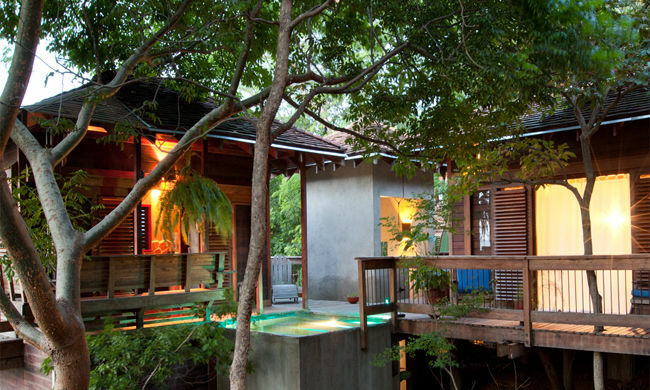 The hand built villas blend modern chic with local materials. Spend your days here indulging yourself with Aqua’s “Pure Wellness Program”, from your (included) daily 9:00 AM yoga class to various other treatments and classes. A variety of relaxing and stimulating massages, scrubs and treatments that make use of pure ingredients from the surrounding land and sea are offered. The top local surf breaks of Colorados and Manzanillo are just 15 minutes boat ride to the north and south, and the resort runs fishing, surfing, dolphin and whale-watching trips with pick up and drop off beach side. 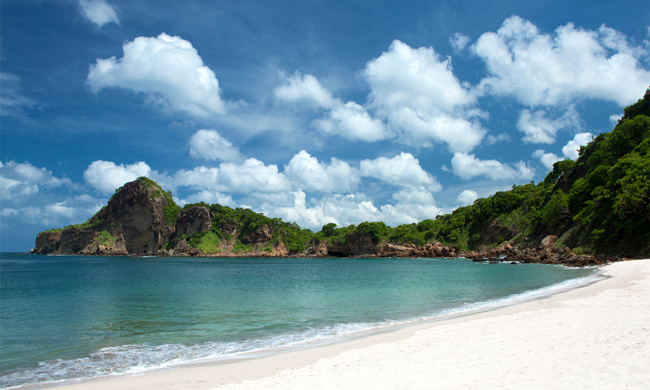 Other local activities include hiking, snorkeling, sea kayaking and horseback riding. Once you’re sufficiently chilled out, you’ll check out of Aqua Wellness Resort and transfer to the colonial city of Granada, where you’d board a boat on Lake Nicaragua to take you to Jicaro Island Ecolodge. 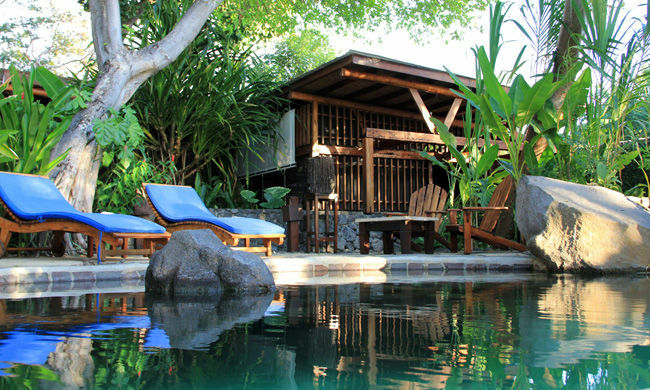 This is one of Nicaragua’s most upscale nature resort, located on a private island in Lake Nicaragua. On your first day on the island, you’ll actually come off the island as we’ll pick you up for a tour of colonial Granada. As you tour the historic center of Granada, your guide will tell you about its fascinating history and you will observe the outstanding old renovated colonial, neoclassical and baroque style civil and religious buildings. The rest of your stay at Jicaro Island Ecolodge will have an emphasis on relaxing, yoga, massages, reading a good book or just taking endless naps listening to the tranquil waters of Lake Nicaragua next to your casita, before finally going back to the airport for your flight home. Day 1: Fly into Managua and transfer to the Pacific Coast (2 hours). Your Ultimate Escape vacation package starts with four nights at Aqua Wellness Resort. Day 2-4: Spend these days indulging yourself with Aqua’s “Pure Wellness Program”, from your (included) daily 9:00 AM yoga class to various other treatments and classes. Other local activities include hiking, snorkeling, sea kayaking and horseback riding. Day 5: Check out of Aqua Wellness Resort and transfer to Jicaro Island Ecolodge (approx 2.5 hours). Day 6: Enjoy a tour of colonial Granada today, and learn about this fascinating historical jewel. Day 7: Spend today chilling out in your island retreat! Day 8: The time has come to get back to the mainland. Transfer back to Managua Airport by boat and private van for your flight home (approx 45 minutes).